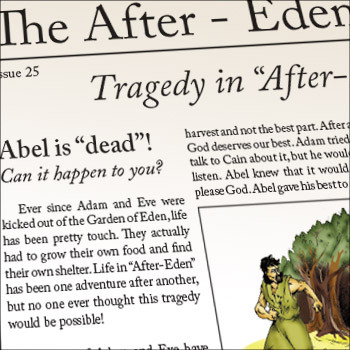 This Sunday School teaching material is as exciting and immersive for the teachers as it is for the children. This curriculum material is rich, deep and effective. 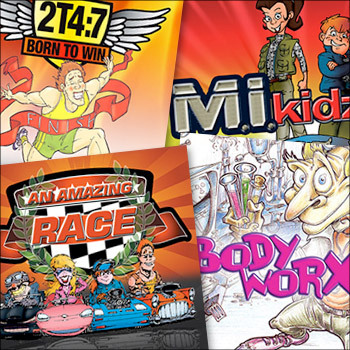 Covering the Bible in 4 years, it grabs the kids' attention and drives towards deep personal decisions and insights. And it is heaps of fun. 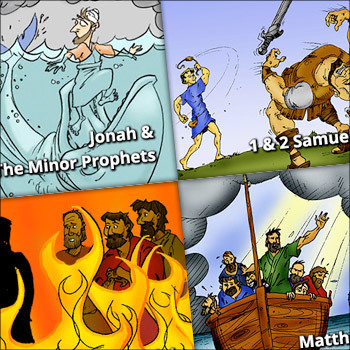 There are 16 captivating Sunday School term modules, covering the whole Bible. The modules are based around a theme, so you can use them in any order. Each module contains around 10 weekly bundles. Bursting with resources, each week contains everything you need to run exciting and engaging lessons. This includes a bunch of extra goodies. The examples above are from "An Amazing Race". Includes the aim, Bible reference, background notes, lesson requirements, worship, major group activity, drama, teaching time, life application, memory work, take-home and the small group activity. The kid's and leaders are drawn right into the action engaging the children strongly and making the lessons more meaningful. 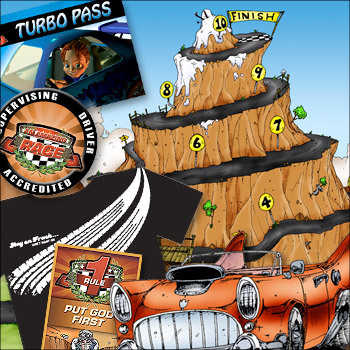 The activities include many extras like print-outs and T-shirt designs. Each week includes fantastic songs, which come with lyric sheets and overhead slides. Many of the weeks also include Visual Stories; series of illustrations that can be used twhile telling the story. You can pick and choose from the full library to create your own custom lessons. 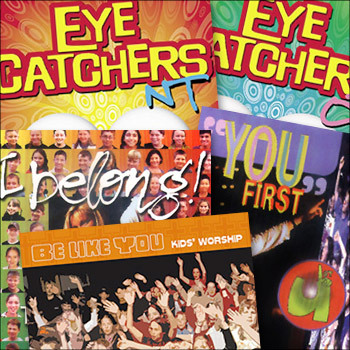 Browse through songs, visual stories and weekly bundles by Bible Reference, Character or Theme.